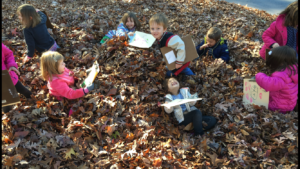 Our adventure in creating beautiful spaces that encourage children to appreciate nature and explore their natural environments here at the Weinstein JCC encourages them to value their relationships with each other, their communities, and the world at large. 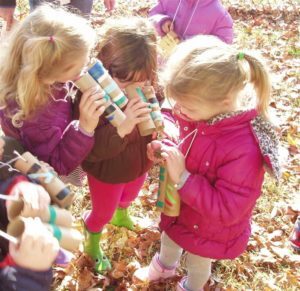 nature art area, water area, sand area, dirt-digging area, mud play, messy materials area for building, tree stumps, tree cookies, natural wood balance beams, and a bike path that flows throughout the spaces. 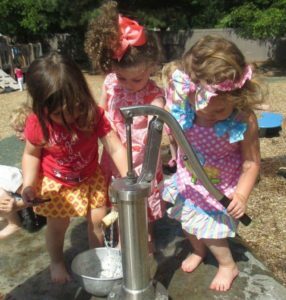 The Dora L.Lewis Child and Family Development Center at the Weinstein JCC is committed to providing our children with spaces and opportunities to explore the world with a sense of wonder and to help them see that they, too, have a responsibility to care for the world around them. 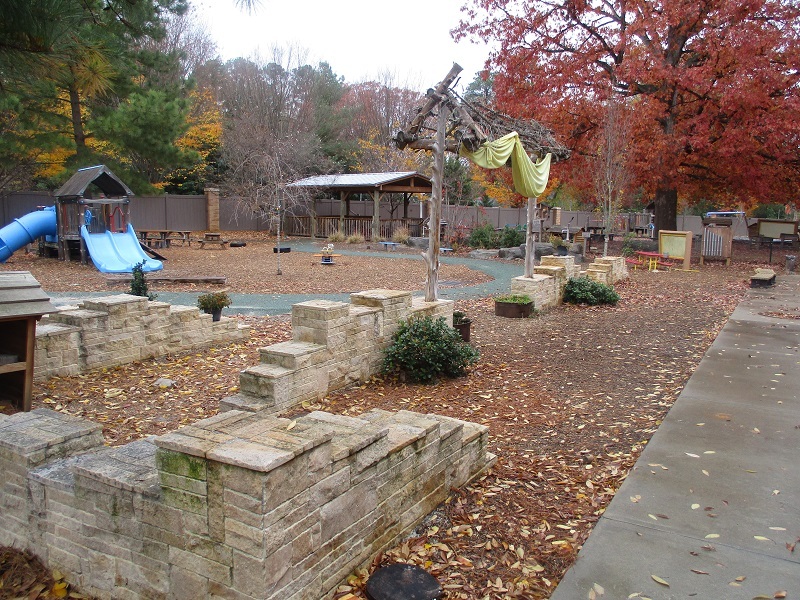 Our Outdoor Classroom has been a labor of love and hard work which began in 2010 with an idea and is still evolving as we move and enhance our “Edible Schoolyard” in 2018. We couldn’t have done it without the enthusiasm of our faculty and administration at the Weinstein JCC, fundraising by our parent committee, grants from the local Jewish community, volunteers from local businesses as well as the community at large, landscape design/architecture consultants from the community, and sweat equity from parents, teachers, and children.